Strawberry Shortcake Pie Recipe info about the game-Games2Rule. 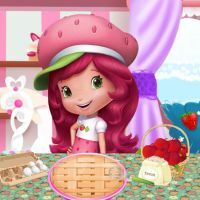 Help Strawberry Shortcake bake a new, delicious pie! Hurry to check the recipe and prove her that you can make a tasty pie. Next step: make - and bake! Finally, finish the pie following the instructions, before the time is up. Enjoy!